There are times when you want to listen to music, but may be tired of what’s on your iPod or iPhone. Sure, you can check out a streaming service, such as Pandora or Spotify, but you might want to make your own music for a change. Not by composing music—unless you’re not a musician, of course—but by using one of a handful of apps to “doodle” with music, in what can be an interesting (and relaxing) process. Brian Eno coined the term generative music in the 1970s, with his first true ambient recording, 1975’s Discreet Music. This record contained (on its original A side) a 30-minute piece designed to serve as background music, and generated through a number of processes. These four iOS apps allow the unmusical to doodle with music and create generative music. They don’t create songs so much as soundscapes. Air ($2) lets you listen to generative compositions, similar in tone to Eno’s Music for Airports, or create your own. To do the latter, you work in one of four “Conduct” modes, tapping different locations on the iOS device’s screen. Tapping produces notes—you can choose voices, piano, or both—and as you play, other notes will occasionally play to complement yours. As you can see in the screenshot below, the interface looks nothing like a piano or other instrument, so at first you won’t be able to predict which notes will play when you tap different locations. It’s an open-ended, simple tool for harmonious noodling: You’re never out of tune, and everything you create sounds relaxing. Trope ($4) is similar in broad conception, though it uses different types of sounds and adopts a different approach to playing. Instead of tapping, you draw on the screen. If you’re in Listen mode, you’ll see shapes on the screen as you draw them; those shapes instruct the app to play different types of music. You can choose from a number of different “moods,” and you can sit back and enjoy the ambient compositions that the app generates, compose your own, or add your own touches to the generative pieces that the app plays. Trope has a sleep timer, so you can set it to play for, say, a half hour as you drift off to dreamland. Both Bloom and Bloom HD ($4 each) combine the approaches used in Air and Trope. You can listen to generative compositions, or you can tap on the screen; however, you don’t tap in specific areas, as with Air, and you don’t draw, as with Trope. Various moods and settings in the apps let you tweak the generative music you hear or create with Bloom. When you tap and create music, your taps repeat in a loop. As you add more notes, they get added to the loop, too. Subtle synthesizer sounds run behind the loops, giving them a tone; and after a while, your taps fade away and you can start over. 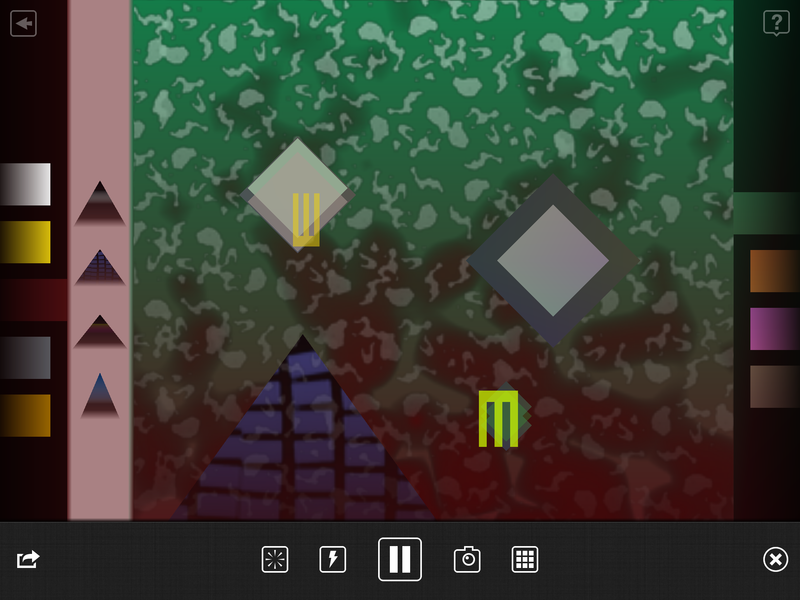 Scape ($6), available only for the iPad, creates “scapes” reminiscent of Eno’s ambient music. 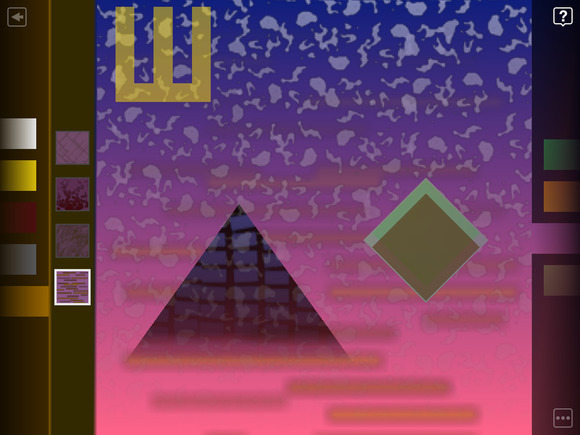 The app includes an “album” of scapes that you can listen to, and you can create your own scapes by using a number of moods and palettes. (You start with four moods and five palettes; but as you use the app, additional moods and palettes become available, until there are eight of each.) You tap buttons on the left of the screen to open palettes, and then either drag items to the center of the screen or drag them off the screen (to remove them). The music changes as you drag the items, and it changes again when you tap the mood buttons on the right. You can save any scapes you create, create playlists, and even share them by email with other users of the app. If you’re in need of inspiration, or just want to chill for a while, tapping a Random Scape button plays a random configuration of settings. You can clear the screen at any time and start over, creating new scapes. All four of these apps (counting Bloom and Bloom HD as one app) let you create generative music, ranging from simple to complex, with a few taps and drags. Scape is the most advanced of the apps, and the one I find the most enjoyable to listen to; but Air lets you become more involved in the process, as most of the music comes from your own taps. Whether you want to doodle with music or relax and listen to ambient music on your iOS device, all of these apps will provide hours of enjoyment. I only wish that Scape were available for the iPhone, because it offers the most enjoyable listening experience, and I’d like to have it in my pocket for occasions when I want to listen to multifaceted, ever-changing ambient music in an airport.